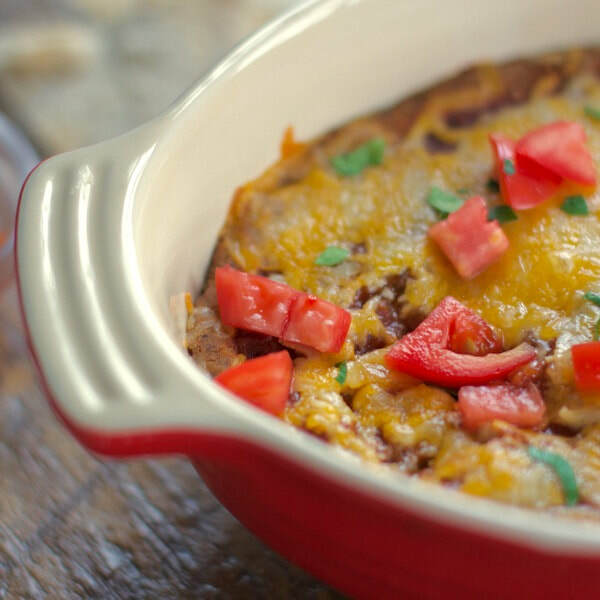 It's not often you find a healthy, delicious black bean dip that only uses 5 ingredients. If this is more your style, check out our other Five Ingredients or Less recipes. Mash beans or blend beans together with greek yogurt and taco seasoning. Spread into a baking dish. Layer with salsa and cheese. Bake for 15 minutes, top with tomatoes and cilantro for garnish (if desired) and serve.